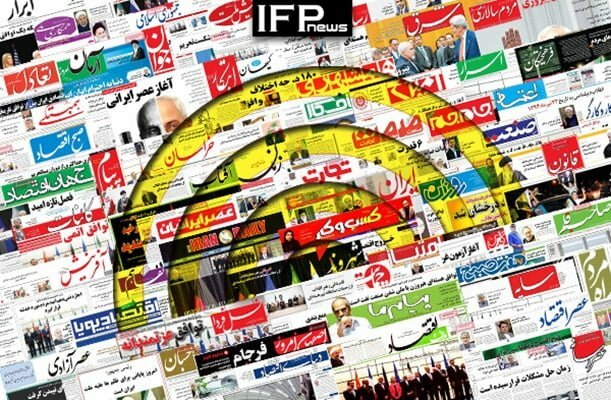 IFP has taken a look at the front pages of Iranian newspapers on Wednesday, January 16, and picked headlines from 13 of them. IFP has simply translated the headlines and does not vouch for their accuracy. The top story in today’s newspapers was Zarif’s visit to Iraqi Kurdistan. Mohammad Javad Zarif and Nechirvan Barzani discussed a range of issues, including ways to boost bilateral relations on Tuesday. The top Iranian diplomat also met with other senior Kurdish officials later Tuesday and traveled to the city of Sulaymaniyah. Zarif is accompanied by a high-ranking political and economic delegation. He arrived in Baghdad on Sunday and met with top Iraqi officials. Another top story was President Rouhani’s comments regarding government’s forex policies. 1- Rouhani’s Attack on Government’s Forex Policy!